Shared by permission from Focus on the Family. Authored by Max Lucado. I don't care how tough you are. You may be a Navy Seal who specializes in high altitude skydiving behind enemy lines. You might spend each day making million-dollar, split-second stock market decisions. Doesn't matter. Every parent melts the moment he or she feels the full force of parenthood. The semitruck of parenting comes loaded with fears. We fear failing the child, forgetting the child. Will we have enough money? Enough answers? Enough diapers? Vaccinations. Education. Homework. Homecoming. It's enough to keep a parent awake at night. Fear distilleries concoct a high-octane brew for parents, a primal, gut-wrenching, pulse-stilling dose. Whether Mom and Dad keep vigil outside a neonatal unit, make weekly visits to a juvenile prison or hear the crunch of a bike and cry of a child in the driveway, their reaction is the same: "I've got to do something." No parent can sit still while his child suffers. "Now when Jesus returned, a crowd welcomed him, for they were all expecting him. Then a man named Jairus, a ruler of the synagogue, came and fell at Jesus' feet, pleading with him to come to his house because his only daughter, a girl of about twelve, was dying" (Luke 8:40-42). Jairus was a Capernaum community leader, a synagogue ruler. Mayor, bishop and ombudsman, all in one. The kind of man a city would send to welcome a celebrity. But when Jairus approached Jesus on the Galilean shoreline, he wasn't representing his village; he was pleading on behalf of his child. Jairus isn't the only parent to run onto Gospel pages on behalf of a child. The Canaanite mother. The father of the epileptic boy. Jairus. These three parents form an unwitting New Testament society: struggling parents of stricken children. They held the end of their rope in one hand and reached toward Christ with the other. In each case, Jesus responded. Deliberately. Quickly. Decisively. Note to all panicking parents: Jesus never turned one away. In the story of Jairus, Jesus made the father's prayer his top priority. He heeded the concern in the parent's heart. He will do the same for ours. After all, our kids were His kids first. "Don't you see that children are God's best gift? The fruit of the womb his generous legacy?" (Psalm 127:3, The Message, a paraphrase). When you look at your children, you look at God's most generous endowment. They upstage any divine grace He gives. Before they were yours, they were His. Even as they are yours, they are still His. We tend to forget this fact, regarding our children as "our" children, as though we have the final say in their health and welfare. We don't. All people are God's people, including the small people who sit at our tables. Wise are the parents who regularly give their children back to God. Parents, we can do this. We can be loyal advocates, stubborn intercessors. We can take our parenting fears to Christ. In fact, if we don't, we'll take our fears out on our kids. Fear turns some parents into paranoid prison guards who monitor every minute, check the background of every friend. They stifle growth and communicate distrust. A family with no breathing room suffocates a child. On the other hand, fear can create permissive parents. For fear that their child will feel too confined or fenced in, they lower all boundaries. High on hugs and low on discipline. They don't realize that appropriate discipline is an expression of love. Permissive parents. Paranoid parents. How can we avoid the extremes? We pray. Prayer is the saucer into which parental fears are poured to cool. Jesus says so little about parenting — no comments about spanking, breastfeeding, sibling rivalry or schooling. Yet His actions speak volumes about prayer. Each time a parent prays, Christ responds. His big message to moms and dads? Bring your children to Me. Raise them in a greenhouse of prayer. When you send them off for the day, do so with a blessing. When you tell them goodnight, cover them in prayer. Pray that your children have a profound sense of place in this world and a heavenly place in the next. Parents, we can't protect children from every threat in life, but we can take them to the Source of life. We can entrust our kids to Christ. Even then, however, our shoreline appeals might be followed by a difficult choice. As Jairus led Jesus through the crowded streets, "someone came from the house of Jairus, the synagogue ruler. 'Your daughter is dead,' he said. 'Don't bother the teacher any more.' Hearing this, Jesus said to Jairus, 'Don't be afraid; just believe, and she will be healed' " (Luke 8:49-50). The hard reality of parenting reads something like this: You can do your best and still stand where Jairus stood. We need to know what Jesus will do when we entrust our kids to Him. He unites the household. Jesus includes the mother. Up until this point, she has been, for whatever reason, out of the picture. But here, Christ unites them. He wants Mom and Dad to stand together in the struggle. And He banishes unbelief: "Now all wept and mourned for her; but He said 'Do not weep; she is not dead, but sleeping.' And they ridiculed Him, knowing that she was dead. But He put them all outside" (Luke 8:52-54, NKJV). God has a heart for hurting parents. Should we be surprised? After all, God himself is a father. What parental emotion has He not felt? Do you find yourself wanting to spare your child from all the hurt in the world? God did. And yet, He "did not spare his own Son, but gave him up for us all — how will he not also, along with him, graciously give us all things?" (Romans 8:32). "All things" must include courage and hope. Some of you find the story of Jairus difficult to hear. You prayed the same prayer he did; yet, you found yourself in a cemetery facing every parent's darkest night. What hope does the story of Jairus offer to you? Jesus resurrected his child; why didn't He save yours? God understands your question. He buried a child, too. Death wasn't a part of His plan, and He hates it more than you do. God resurrected His precious one and will do the same with yours. Your child may not be in your arms, but your child is safely in His. Others of you have been standing where Jairus stood for a long time. You've long since left the water's edge of offered prayer, yet haven't arrived at the household of answered prayer. At times you've felt like a breakthrough was nearing, that Christ was following you to your house. But you're not so sure anymore. You find yourself alone on the path, wondering if Christ has forgotten you and your child. He hasn't. He never dismisses a parent's prayer. 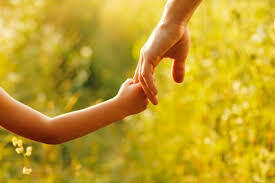 Keep giving your child to God, and in the right time and the right way, God will give your child back to you.